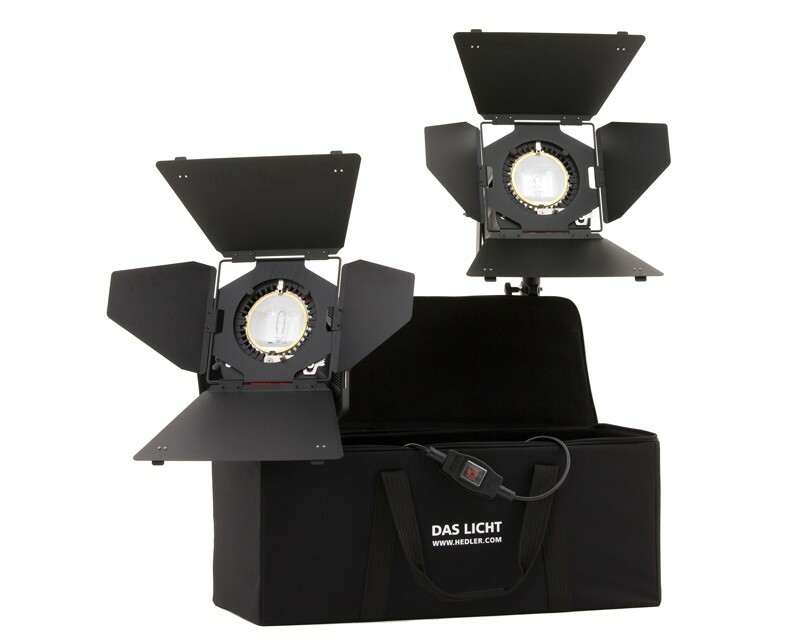 The Hedler H 10 Tungsten light unit is sturdy, light weight and compact.The Video Floodlight Kit comes with 2 x Hedler H10, 2 x 1000W bulbs, 2 x 4Way Barndoor, 1 x Light stand. The metal housing is convection cooled, i.e. no noisy fan! The H 10 can be fitted with either a 650 or a 1000 Watt bulb. Designed for professional use, the HEDLER H 10 is supported by a wide range of accessories: reflectors, Maxi-Softboxes, reflex umbrellas and others. The Hedler H 10 comes with: Clear safety glass, U-Bracket with Quick-Lock Light Stand Attachment 5/8 inch and the new HEDLER Quick-Fit Adapter for reflectors and light shaping accessories.